The Voting Rights Act has been instrumental in protecting the right to vote for generations. The Supreme Court will consider a key provision of this landmark civil rights law in Shelby County v. Holder. This summary explains the history and importance of the Act for minority voters and why the Court must uphold the law. The right to vote is a fundamental American value that must be protected. 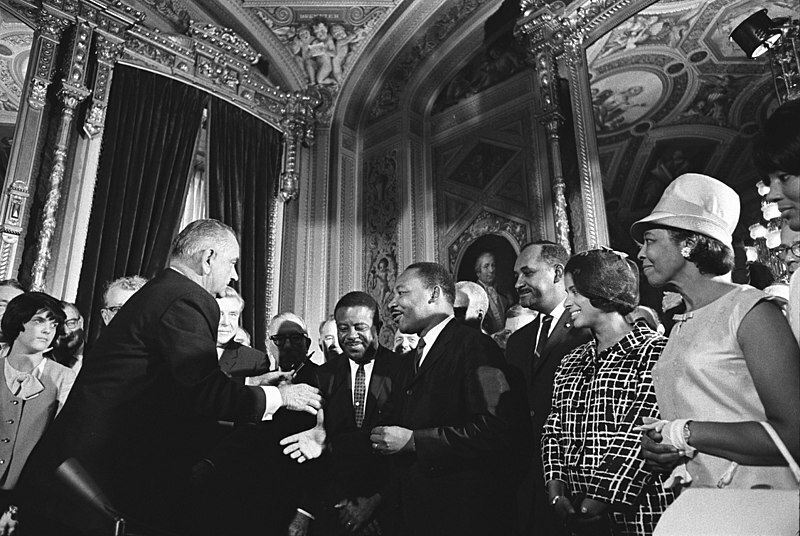 For generations, the Voting Rights Act has been instrumental in protecting this right. On February 27, 2013, the Supreme Court will consider a key provision of this landmark civil rights law in Shelby County v. Holder. This summary explains the history and importance of the Voting Rights Act for minority voters, and why the Supreme Court must uphold the law. The Voting Rights Act was passed in 1965 to ensure state and local governments don’t pass laws or policies that deny American citizens the equal right to vote based on race. As the leading democracy of the world, the U.S. should work to keep voting free, fair, and accessible. That’s why the Voting Rights Act is so important. It makes sure every citizen, regardless of their race, has an equal opportunity to have a say and participate in our great democracy. The Voting Rights Act is the most effective civil rights law ever enacted, and it’s something we should all be proud of. Section 5 is the heart of the Voting Rights Act. It requires covered jurisdictions to submit any proposed changes in voting procedures to the U.S. Department of Justice or a federal district court in D.C. — before it goes into effect — to ensure it does not harm minority voters. This blocks discrimination before it occurs. This process is known as “preclearance.” Section 5 applies to all or part of 16 states. See here for a complete list. Section 5 is an essential and proven tool. Although progress has been made since the Voting Rights Act passed in 1965, voting discrimination still persists. Between 1982 and 2006 (when Congress overwhelmingly renewed the law), the Voting Rights Act blocked more than 1,000 proposed discriminatory voting changes. Without Section 5’s protection, these changes would have gone into effect and harmed minority voters. Section 5 is still needed to prevent and address real and continuing threats to Americans’ right to vote. States continue to enact laws to restrict minority voting access. Section 5 is a proven remedy to protect voters. In 2012, it blocked a highly-restrictive voter ID laws in Texas and a law in Florida that eliminated early voting days, which would have made it more difficult for hundreds of thousands of minority voters to cast a ballot. In 2010, Shelby County, Alabama, a largely white suburb of Birmingham, filed suit in federal court in Washington, D.C., seeking to have Section 5 of the Voting Rights Act declared unconstitutional. Shelby County claims that Congress did not have the required constitutional authority when it reauthorized Section 5 in 2006. Shelby County’s challenge seeks to invalidate the law not only in Alabama, but everywhere Section 5 applies, including 9 full states, and 57 counties in 5 partially-covered states. Shelby County’s own record of voting discrimination provides a good example for why this core protection is still necessary. In 2006, the City of Calera, which lies within Shelby County, enacted a discriminatory redistricting plan without complying with the Voting Rights Act, leading to the loss of the city’s sole black councilman, Ernest Montgomery. Under Section 5, however, Calera was required to draw a nondiscriminatory redistricting plan, and to conduct another election. In this lawful election, black voters selected their candidate of choice, and Mr. Montgomery regained his seat on the city council. The Shelby County challenge claims the Voting Rights Act is unconstitutional because it hurts states’ rights. But this argument was rejected by the U.S. Supreme Court shortly after the Act was originally enacted in 1965. In total, four separate U.S. Supreme Court decisions have upheld the Voting Rights Act through the decades. In 2006, Congress also voted overwhelmingly to reauthorize this essential law (98-0 in the Senate, and 390-33 in the House), recognizing that serious threats to our voting rights continue today. The passage of the Voting Rights Act is a reflection of the promise of our Constitution that all Americans would truly have the right to vote without facing discrimination, poll taxes, and other abuses. We can’t go back to those days, and the Voting Rights Act is our nation’s promise that we never will. The Voting Rights Act and Section 5 represent the values of America — freedom and equal rights under the law. If America wants to live up to this promise of equality, states shouldn’t be able to ignore the Voting Rights Act and make it harder for some eligible Americans to vote. In 2001, the white mayor and all-white Board of Alderman for the city of Kilmichael, Mississippi attempted to cancel an election shortly after black citizens had become a majority of the registered voters. The Department of Justice denied preclearance under Section 5, finding that the cancelation was designed to worsen the voting strength of African-American voters. The town refused to reschedule the election until the Department of Justice forced it to hold one in 2003, at which time the citizens elected the town’s first African-American mayor and three African-American aldermen. After the 2000 Census showed that Latinos had become a majority in five of eight districts, the city of Seguin, Texas proposed dismantling a Latino-majority district. The Department of Justice indicated that preclearance was unlikely, and the city withdrew its preclearance request but promptly closed the candidate filing period to prevent any Latino candidate from competing in the district. A subsequent Section 5 enforcement action blocked this discrimination. In 2004, an Asian American candidate ran for city council for the first time in the history of Bayou La Batre, Alabama. The white incumbent and his supporters challenged about 50 Asian-American voters at the polls during the primary elections, claiming that if they “couldn’t speak good English, they possibly weren’t American citizens.” The Department of Justice determined these challenges were race-based . The Department of Justice prohibited the challenges in the 2004 general election because of Section 5. The Asian-American candidate won the council position in that election. One week before the New York City primary elections in 2001 — which had been rescheduled after the 9/11 attacks on the World Trade Center — the Board of Elections planned to close a busy poll site in Manhattan's Chinatown without making any announcements in Chinese-language newspapers and without informing limited English proficient voters about this change. The Department of Justice informed the Board that the change could not take effect under Section 5. On primary day, hundreds of votes were cast at the original Chinatown poll site. Without Section 5, many of these voters would have lost their right to vote. In 2011, Texas lawmakers proposed redrawing political boundaries that would have created four new congressional districts. Despite the substantial growth in Texas’s minority population in the past decade, not one of the new districts created the ability for the Latino or African-American community to elect their candidate of choice. A federal district court found that the maps were enacted to intentionally discriminate against Latino and African-American voters, and Texas’s redistricting proposal was blocked under Section 5.